With a longer length chain that lets you wear the Classic Waterfall Necklace with just about any neckline, and with three snaps that let you show off three of our hundreds of lovely 12mm Dots, you'll be able to wear this piece on so many occasions! 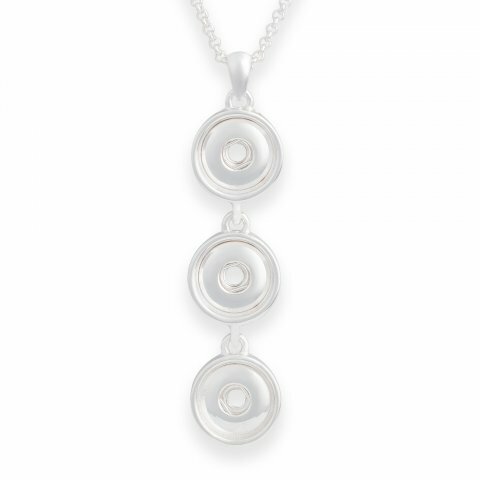 This necklace is great for showing off your family love! The Classic Waterfall Necklace is my favorite for Holidays! It let's me show off multiple Holiday Dots at once.